Search engines like Google act to create virtual “yellow pages” where users can locate websites just by typing a few words within the Search Box. The order by which websites are listed matters a lot, as studies have shown that 92-95% of users don’t usually go beyond the first page of search results. Of the 95%, most won’t even go past the top 5 to 10 ranking websites. This is why search engine optimization or SEO is so important. SEO is basically a set of principles that website owners can follow in order to optimize their websites and improve their ranks on the results page. SEO also increases the quality of your website by making it more user-friendly and easier to find and navigate. Being among the top ranking websites also builds users’ trust and encourages promotion of your site through social media channels, thus giving your website that much-needed visibility. 1. Keyword – This is the word or phrase that a user types in the blank search box in order to find relevant results. The more keywords you can set up for your website, the more easily you can be found. 2. SERP – This stands for Search Engine Results Page. It is the starting page of resulting websites listed by rank when a particular keyword is used. 3. Meta title tag – This describes the content of a webpage. It should always be accurate, unique, easy to understand, and incorporates powerful keywords. At a glance and within a few short sentences, your title tag must be able to convey the main points of your webpage to users. 4. Meta description – As with title tags, meta descriptions contain bits of text to provide users with a concise preview of what your website contains. 6. Traffic – This means the number of visitors to your website, how long they spend there, the number of pages they click, the number of repeat visits, etc. 7. 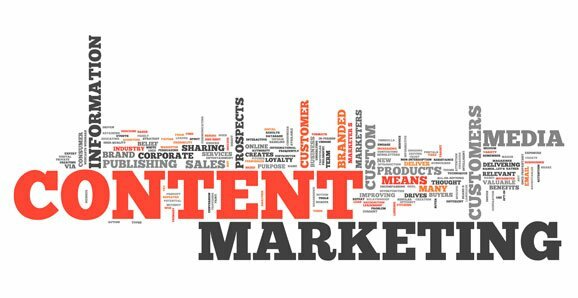 Content – This includes text, images, FAQs, and other data that visitors want to see. The search engine determines the subject matter covered by a website and how relevant it is to a particular keyword. 9. Content management system or CMS – This is a web application which provides tools to create, edit or publish web-based content. High-quality content makes for significant SEO results. 10. Authority – This is a score assigned by the search engine (such as Google) which shows how highly it regards your website or domain authority. It measures the power, credibility, relevance, and stature of your website. 11. Indexing – This is a vital process where the search engine examines the content of your site, then collects and stores your pages. Unless your website is indexed, the search engine will not know of its existence. 12. White Hat SEO – This involves strategies geared towards improving your website’s search performance and ranking on a results page, such as keyword-rich meta tagsand quality website content. 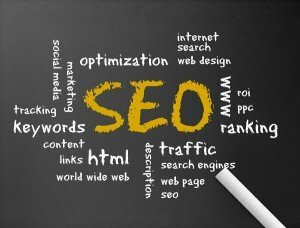 White Hat SEO strategies must follow guidelines and techniques as approved by the search engine. The opposite is Black Hat SEO, which attempts to trick search engines into improving a website’s ranking by employing unethical and unauthorized tactics such as unrelated keywords and invisible text. 13. Backlink – This is a link from an external website back to your own. 14. Search algorithm – This is a complex process for evaluating the SE significance of a website page in relation to keywords that users input when looking for specific information. Search algorithms are constantly being improved by Google and other competent SE’s to prevent negative search results. 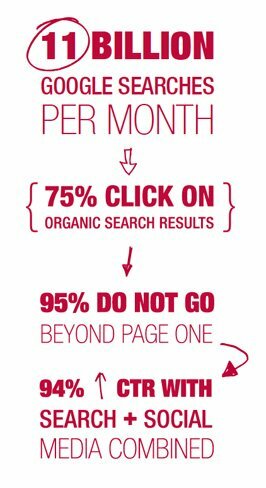 Organic rankings as the main indicator of SEO success is only as important as the targeted traffic they drive. And even though search rankings for a particular query may waver in the search results from one user to the next, data shows time and again that the top positions are winning. This is why it’s important to at least understand some of the top SEO terms and how it can effect your business website and come up with a plan to optimize your company site.